Why is it that some of the best gangster films are based on true stories? From the very beginning of the genre, stories have been ripped from headlines, usually based on a particularly notorious criminal in the underworld. For some reason audiences were fascinated with the gangster persona, and part of the fun was watching their rise into success. It comes as no surprise that this genre has thrived the most in times of economic hardship. It was almost like a fantasy film for audiences during the Great Depression. And it was only censorship which forced the bloody demise of these characters, though I suppose in some cases it is just a part of the facts. 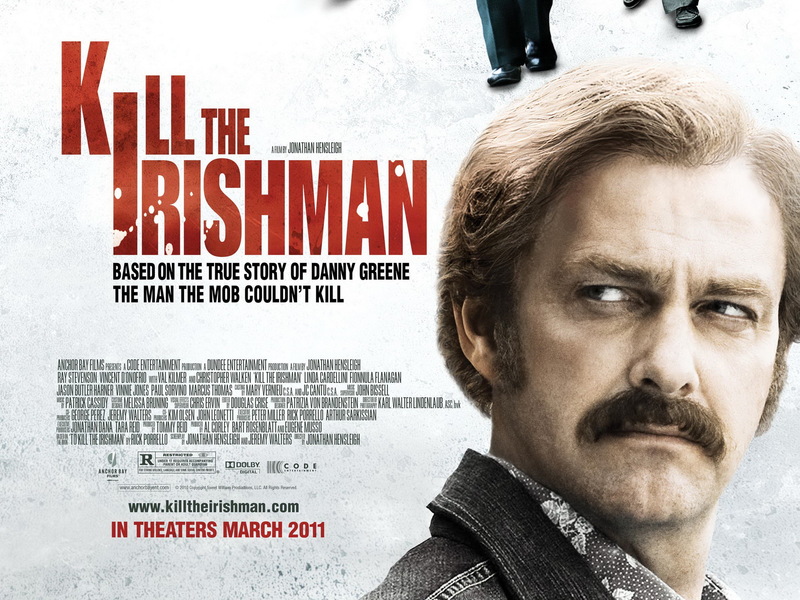 Ever since, the gangster genre has had a narrative which follows the rise and the fall of the criminal protagonist, and Kill the Irishman is no different. Where it is different is in the way that the main character is willing to stand alone and/or outnumbered. Following the exploits of Irish gangster Danny Greene (Ray Stevenson), mostly in the 1970s and entirely in Cleveland, Kill the Irishman is less about breaking the law as it is one Irishman standing up to the criminal monopoly held by the Cosa Nostra. After rising into success and then into prison through the union racket, Greene finds a way to partner up and do business with the mafia thanks to his friendship with gangster John Nardi (Vincent D’Onofrio) and Jewish loan shark Shondor Birns (Christopher Walken). When the power shifts in the mafia, however, Greene finds himself a target of every hit man in Cleveland. No matter how many times they try to kill him, however, the Cleveland Cosa Nostra fails at countless assassinations attempts. Thirty-six bombs went off in 1976 alone, as the war between Greene and the mafia raged through Cleveland.